Get ready for a fun run amidst nature and fresh air! When you're planning your next event, choose the Trail Run Drink Ticket to keep all of your intrepid exercisers hydrated! Each template features a group of runners and images of the woods along with individual numbering for easy tracking. 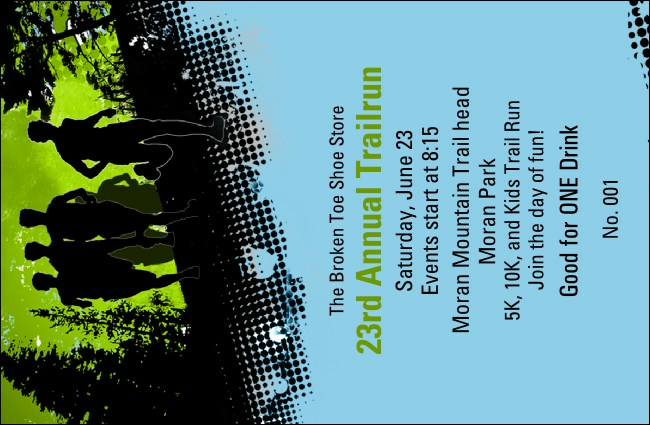 Run straight to a great event with promotional materials from TicketPrinting.com.